Travel Costs > How Much Do Ellen Show Tickets Cost? How Much Do Ellen Show Tickets Cost? 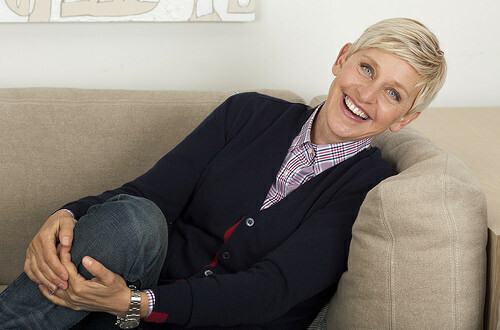 For over 10 years, Ellen DeGeneres has been wowing studio audiences as well as viewers at home with her inimitable and uniquely funny talk show brand. Since you already watch Ellen DeGeneres, you know what to expect. You can expect to experience great music from DJ Tony Okungbowa, a little dancing and candy tossing. Ellen DeGeneres is a veritable real estate mogul, who cashes in mansions for millions in profit. However, true fans are acquainted with what she does best — hosting her show. How much do Ellen Degeneres tickets cost? Tickets to the Ellen DeGeneres Show are free if you go to the official website. While the tickets are free, it will not be easy to get them due to the competition. With that being said, do not be surprised if it takes months for the management to process your request. From time to time, a VIP experience is often offered. The last time it was offered, via Groupon.com, the price was $5,000. This package included two tickets, a backstage tour, a guided lot tour with lunch, roundtrip airfare, three nights in a hotel suite, a rental car, limo ride to the show and a $75 dining credit. First, you will want to visit the online show calendar to see which dates are opened. The Ellen show will only tape Monday through Thursday. At the time of reserving, you can select up to two months in advance. Again, the dates with tickets available will clearly be labeled. When you do find a date you’re interested in, you will then be asked to fill out a form and submit when done. You will only be able to secure one date only. Submitting the form does not guarantee the date, and in order to be admitted, a represenative will contact you from the show. At this time, you will inform the representative of any special needs you have. In two weeks, you will receive an email confirmation securing the date, along with instructions when you’re attending the date. If you do not receive this email, this means you will not have access. The show tapes in Burbank, California at the Warner Bros. Studios, everyone inside the party should be at least 14 years old or older. All minors are required to show an ID and should be accompanied by an adult. It is important that you book your Ellen DeGeneres Show tickets for the current season early since supplies are typically limited. There is free car parking at the Warner Brothers’ parking lot. Show dates and times are subject to change at any-time. The show doesn’t reimburse any cash for travel expenses or other expenses such as hotel reservations due to show cancellations. If by any chance this show gets canceled, they won’t be responsible for it either. Tickets have no cash value and can’t be auctioned or sold. These are non-transferable. Due to the high volume of requests for show tickets, parties are only allowed to submit and attend one taping per season. In case their crew or staff recognizes you as a repeat guest, you’ll be denied entry at the gate. The asks you don’t send multiple-requests or even apply under a different name. If you or anyone within your party is handicapped, be sure to let them know when they call to offer you tickets. They must be notified of all special needs at least two weeks before your show date. There are a limited amount of standby tickets on the day of the show. On the day you’d like to attend, call (818) 954-5929 to request tickets. To see what the experience is like, this MyDreamCameTrue.com page shows you what it’s like.